Extremely lightweight 3-jaw power chucks with innovative design for large savings potential with dynamic processes. The chuck is ideal for use on machines with short-stroke cylinders. - Energy efficient thanks to extremely low moment of inertia. Shorter cycle times and reduced energy costs. - Connection dimensions 100% compatible with power lathe chucks of the Kitagawa BB200 series (up to size 260). Exchange of the existing Kitagawa chucks can be done within short time. - Base jaws with fine serration 1.5 mm x 60° and 1/16" x 90° as standard. 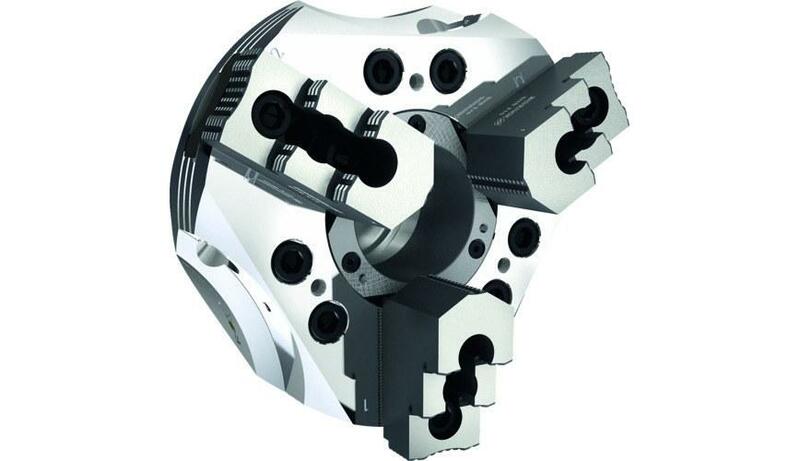 High flexibility in the range of top jaws. - Blank draw nut which can be disassembled and removed is integrated in the chuck. Boring out draw bar thread or for exchanging with the already boredout draw nut of a Kitagawa BB200 chuck of the same size can be carried out by the customer himself.